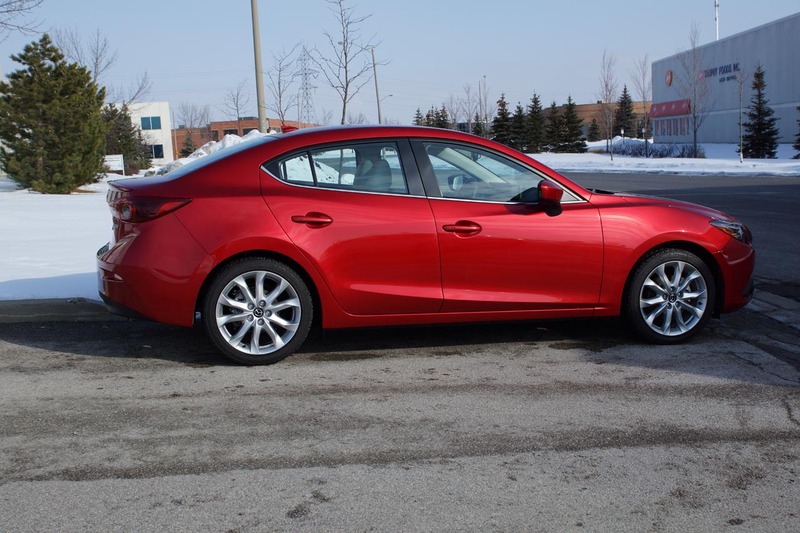 Apart from that I am astonished that a mainstream compact car feels like it has been tailored to my body; a perfect fit and very attractive. 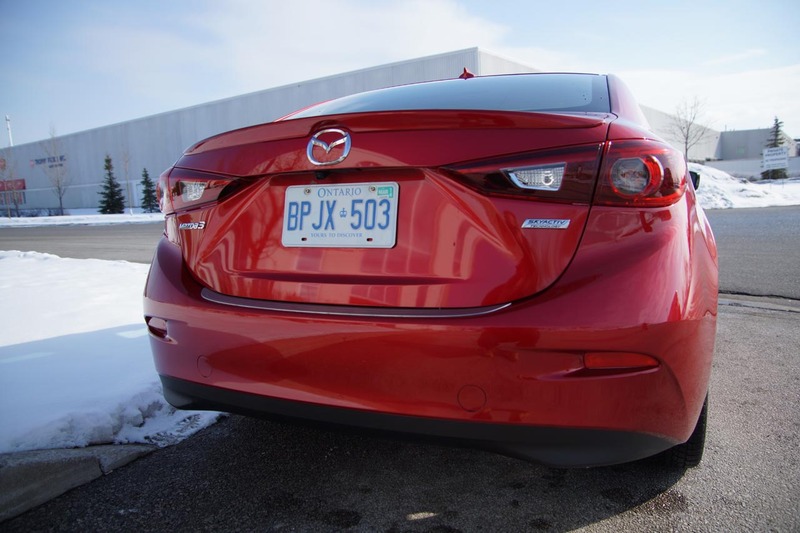 The fuss is about the “game changer”, the brand new 2014 Mazda 3. The GT that was given to us for the week came with all the cutting edge technology we could hope for; minus a heated steering wheel. 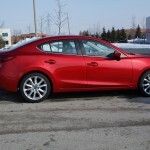 Costing $30,185 plus fees and taxes, it is sweetly positioned into the highly competitive compact sedan market and looking that attractive, success is guaranteed. 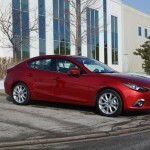 Built on the SKYACTIV platform and shaped with the “KODO” pen, the new car has nothing in common with the outgoing model. Risky? Sure. Did it work? Yes. 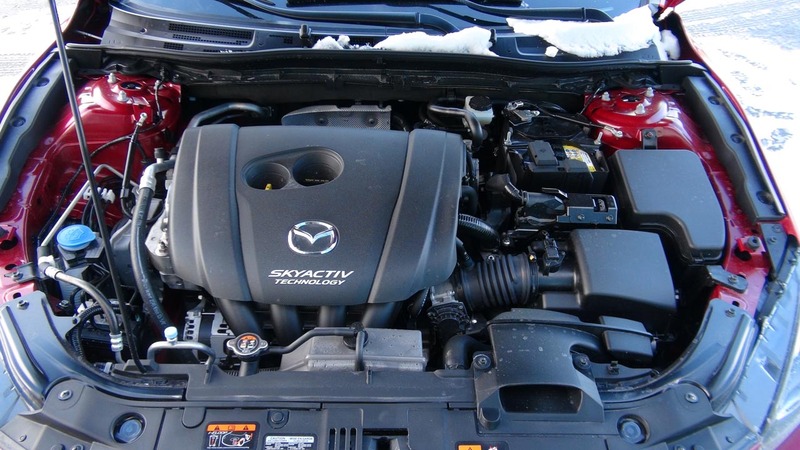 Under the hood, the 2.5L 4-cylinder SKYACTIV motor is home to 184 bhp and 185 lb-ft of torque that are enough to propel it to 100km/h in just 8.2 seconds. 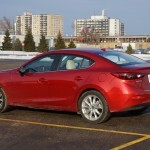 Refined, quiet enough and punchy from idle to red line schizo, the engine feels like the perfect match to the chassis. 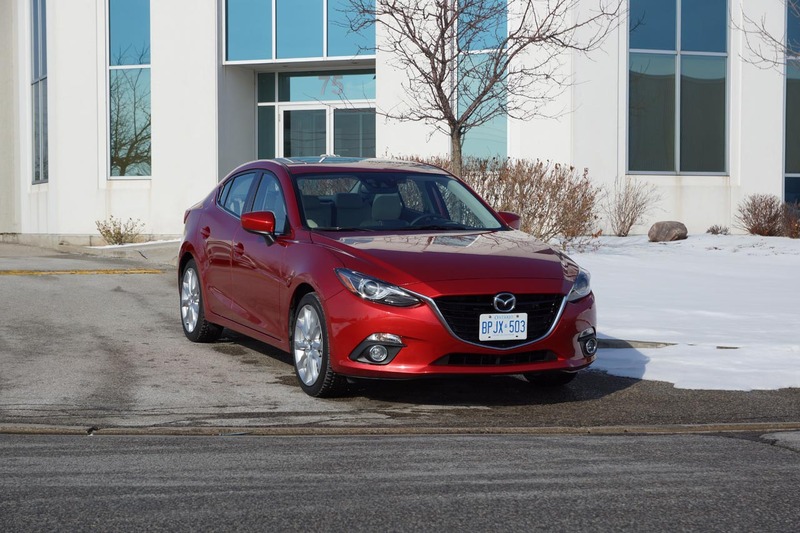 Mated to a 6-speed auto-box with paddle shifters and a sport button, the experience can vary between relaxed and pretty sporty. 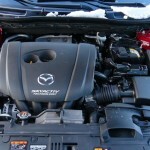 And all that while averaging 9.6 L/100km of regular unleaded. 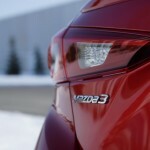 The driving experience is what the new 3 has re-invented. 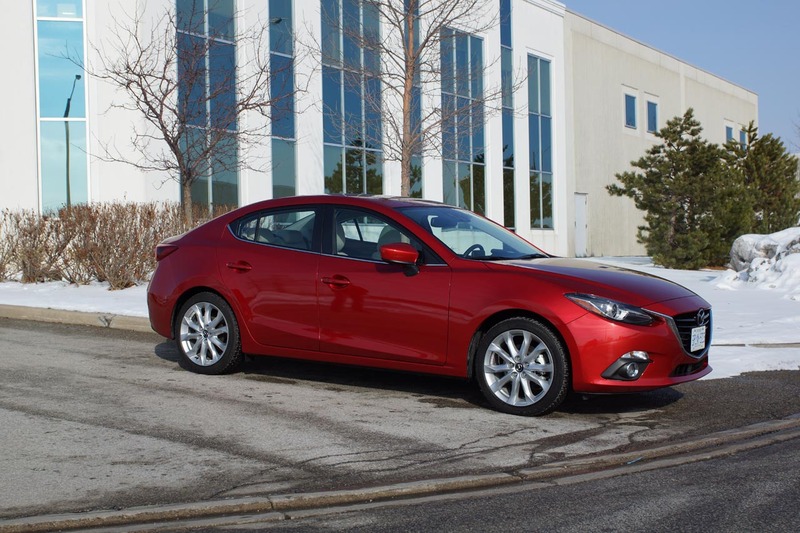 The driving position is low, after you adjust the perfect seat and grippy steering wheel to suit your needs you will feel like your body is perfectly in-place. It almost feels like wearing a tux tailored to your body. It has that effect on your mental state too. 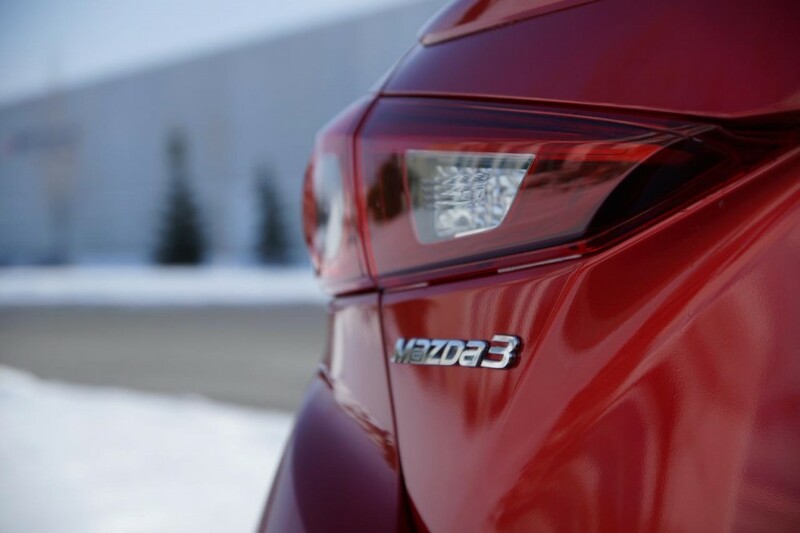 Anticipating your next drive in a Mazda 3? Yes, that is “the game changer’s” change. 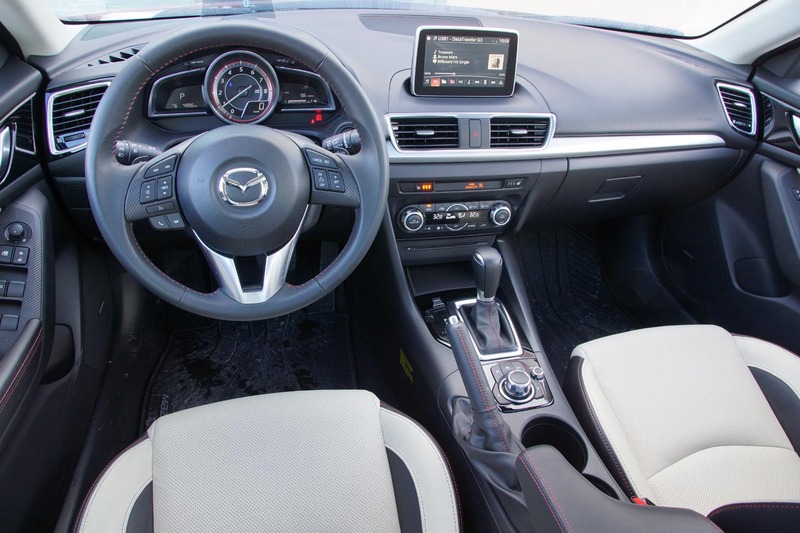 The interior design borrows some elements from the 6 and CX-5, but also introduces some brand new ideas. 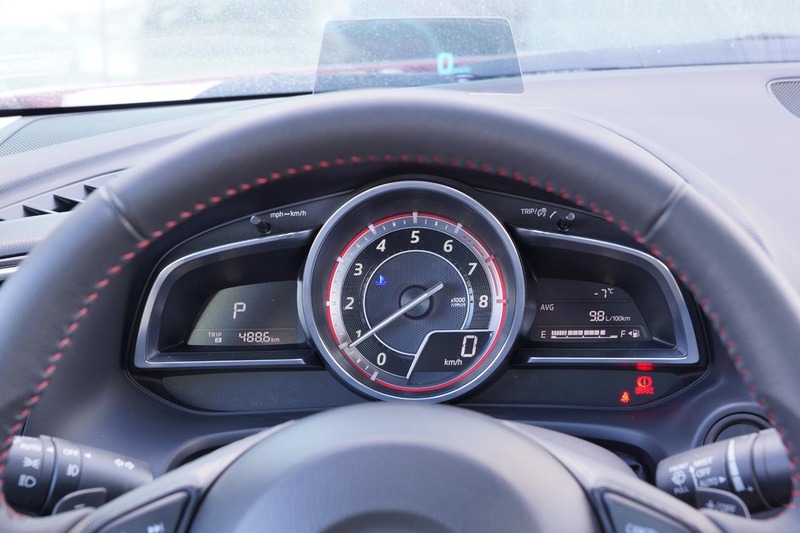 The inspiration behind the instrument cluster has racing pedigree since the dominant gauge is the rev-counter. 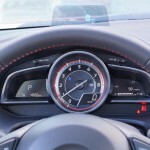 There is a digital speedometer within it and two smaller information screens, one on each side of it. 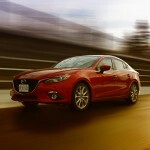 The highlight is the Active Driving Display that shows you your speed, cruise and navigation info. 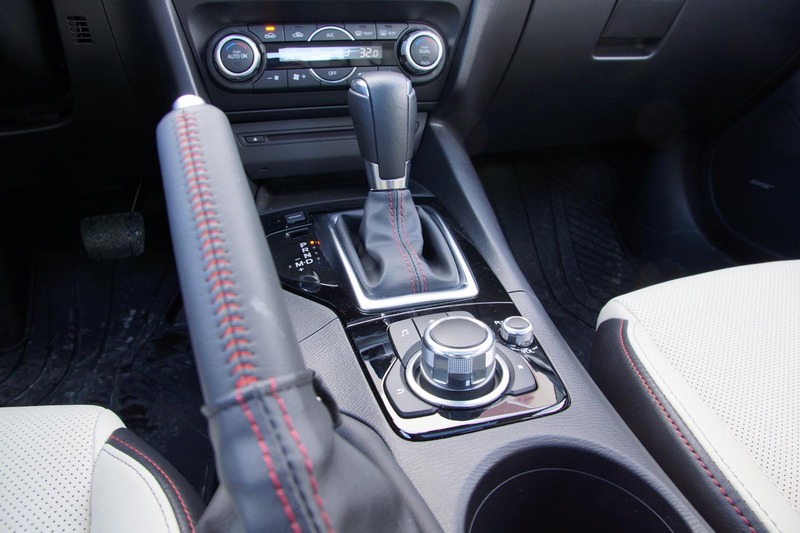 The center console is a reference ergonomic example and I don’t mind the navigation screen on the top of the dash that sits there like a “French Tub”. Soft to the touch material has been used for the upper panels while the rest is hard plastic. Fit and finish are really good and I even developed a liking for the styling trim with the carbon fiber pattern. 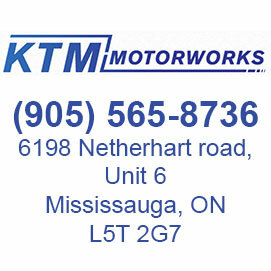 For the complete equipment list please read the full review on AutoMotoCanada.com as it’s too long to mention here. 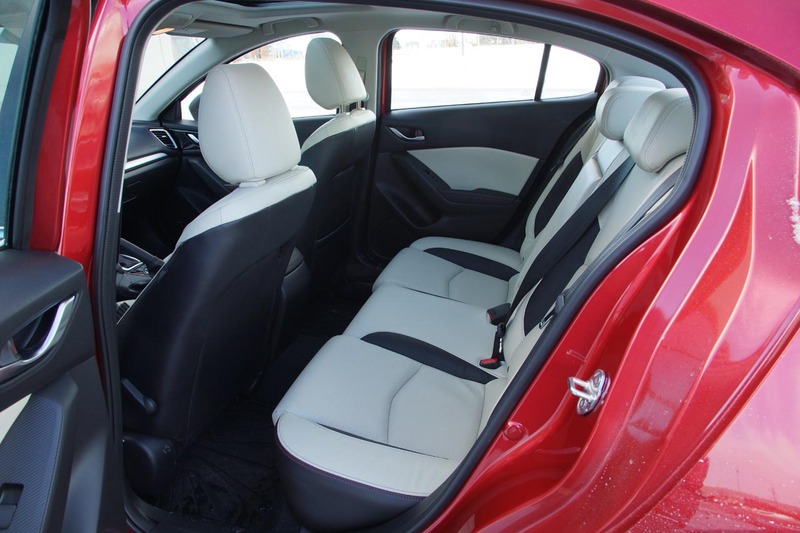 Passengers in the front sit snug and feel great, unfortunately if their height is more than 6ft, their space is taken away from passengers behind them. Filled with averagely proportioned adults, four of them will enjoy a comfortable ride to wherever the destination is set to. 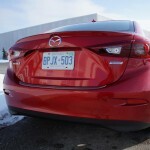 The trunk is a respectable 350L and is well shaped but the tight opening compromises its loading capabilities. 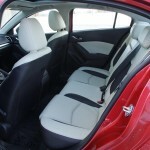 At least the rear seats are foldable which adds practicality points. 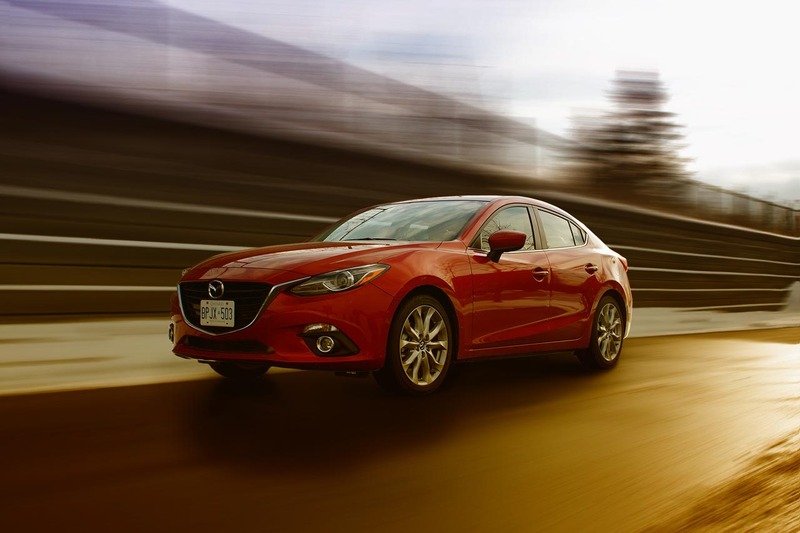 The ride quality feels firm and textured, meaning that the car is so connected to the road you will feel things you cannot see. I will not for a moment suggest that it is uncomfortable, quite the opposite really, but the involvement levels are so high, there are no muted dynamics. Over bumps and potholes the suspension reacts well, absorbing the energy of the impact while allowing only controlled amounts of shock to be communicated to the driver. The steering feels fantastic, razor sharp and well weighted and the feedback passed through it is better than an organic connection to the front wheels. On the highway the car keeps its heading so firmly you will need to put some force on the wheel just to change lanes. Around corners it is an adrenaline pump. Body roll is minimal and grip levels are high. Expect balanced reactions upon exceeding its limits but maintaining control is easy with the near perfect steering and crisp throttle. 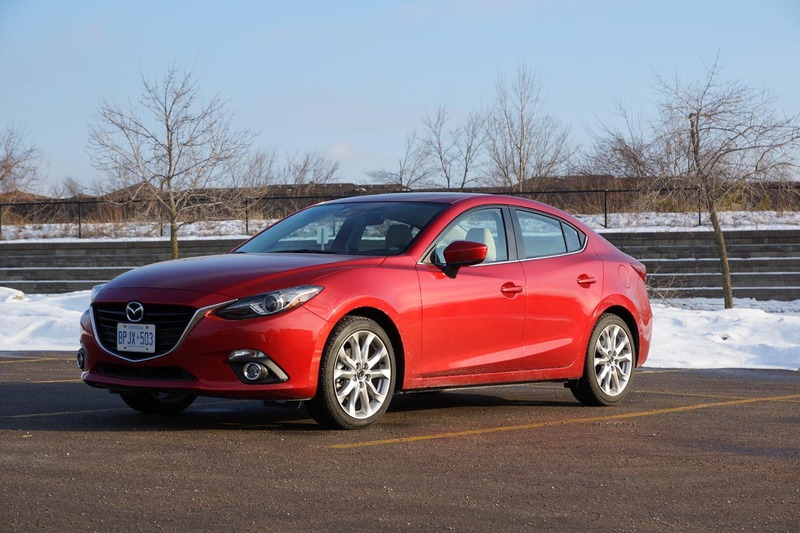 The brake pedal feels stellar and the brakes are plenty strong as from 100km/h the car came to a complete stop in 45m while on winter tires. 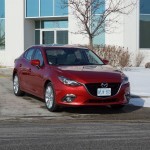 It is not often I am impressed with a car, especially a mainstream compact sedan. 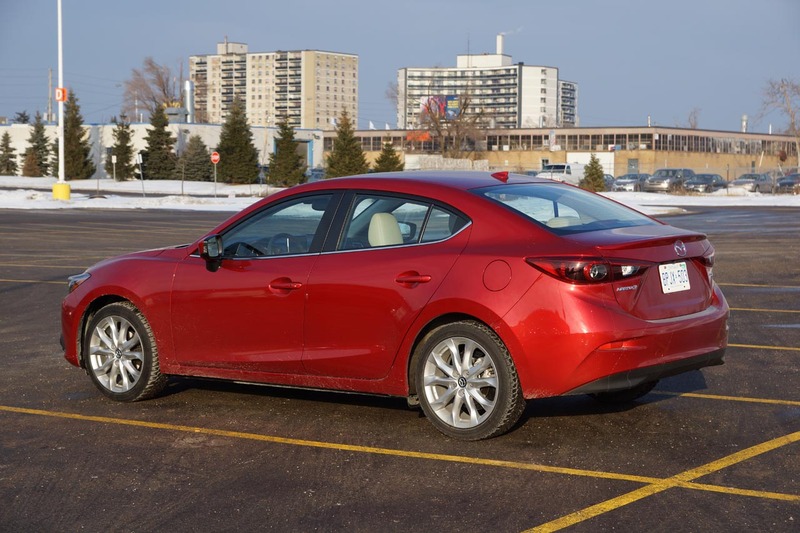 The 2014 Mazda 3 has captured and implemented the undefined wow-factor that separates good cars from great cars and a great car is what it is. 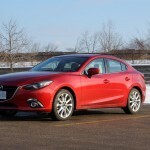 The best compact sedan. Period.